The Old Stables - Ludlow, Shropshire. Beautiful stone cottage to let. for Holidays and short breaks. How to find us. From the A49 – A456 junction at the Salwey Arms, Wooferton head west onto the B4362 signposted Presteigne. Follow the road for approximately one and a half miles. 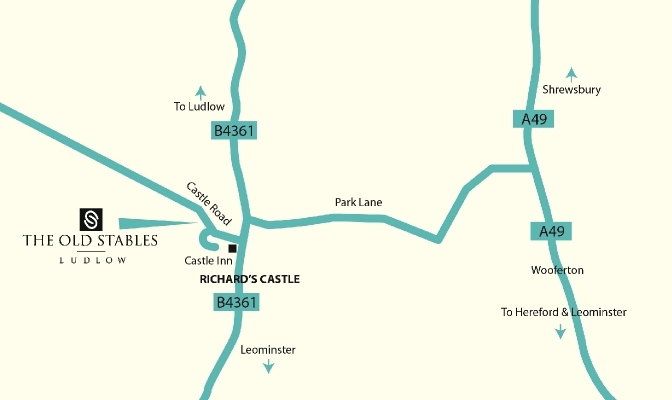 Turn right at the T junction onto the B4361 which will take you to the village of Richards Castle. Turn left at the Castle Inn and the Old Stables is approximately Four hundred yards on your left.